A poorly fitting prosthesis can cause annoyance. Often the few remaining teeth or the toothless jaw are no longer able to provide the prosthesis with the necessary support. 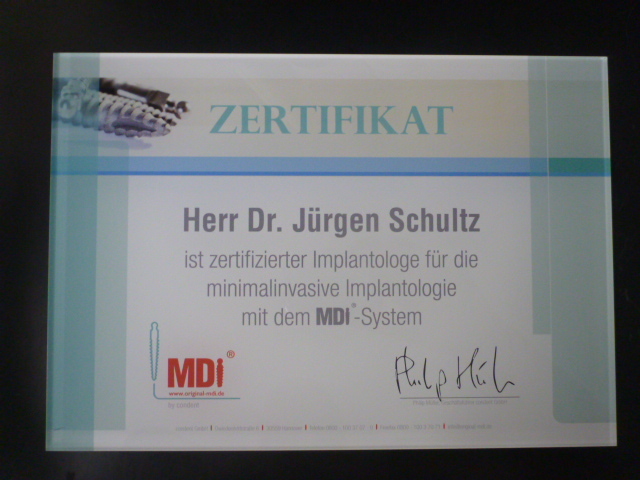 With special mini implants it is often also possible to help with reduced bone. A better fitting prosthesis provides more security when speaking and more pleasure when eating. These special, small implants can often be placed without major surgery, so that they can also be used well in older patients (after appropriate preliminary examinations). In many cases, these implants can be placed without cutting open the mucous membrane, so that this procedure can almost be described as minimally invasive. The new teeth ( dentures ) on the mini implants find the required hold again when they grow in well. 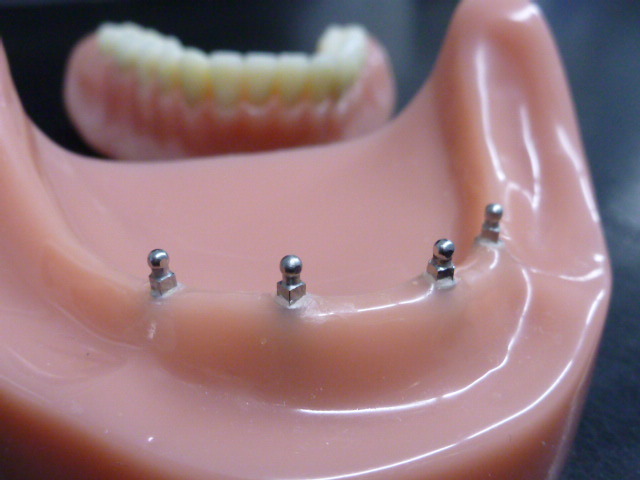 Depending on the situation, it may even be possible to combine the existing dentures with this implant system, so that the accustomed prosthesis can continue to be used after appropriate adjustments.